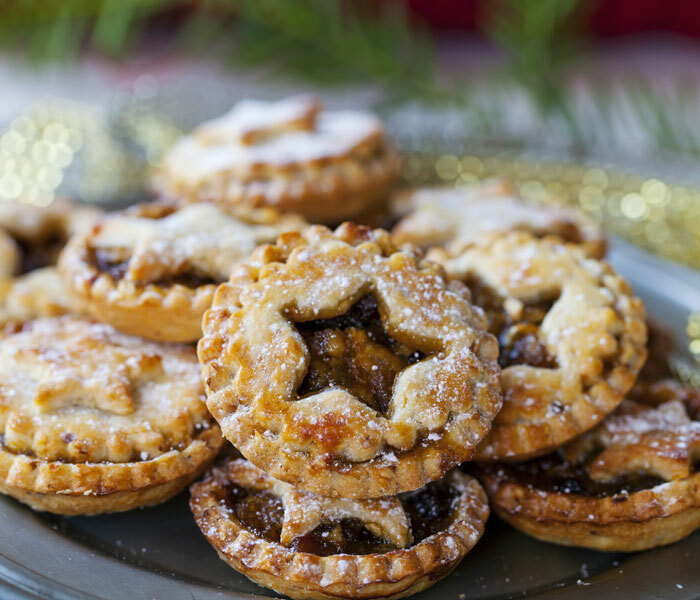 Festive and fruity, these are best served warm with a scoop of vanilla ice cream. 1. Preheat oven to 220°C/200°F/gas mark 7. 2. Place the flour and sugar with the butter in a bowl and rub together until it becomes a crumb consistency. 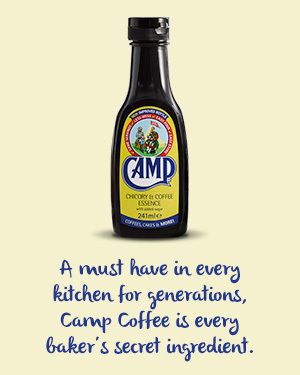 Add the Camp Coffee and mix together. Tip out onto a lightly floured surface and fold until the pastry comes together - be careful not to over mix. Wrap the pastry in cling film and chill for 10 minutes. 3. Roll out the pastry. Using a round cutter, cut out 24 bases and place them onto the trays. Put 1 tsp mincemeat into each base. Re-roll out the pastry to cut the lids or star shapes to top. 4. Bake the mince pies for 15-20 minutes until golden brown. Leave to cool slightly before releasing them from the trays and dusting with icing sugar. Serve warm.